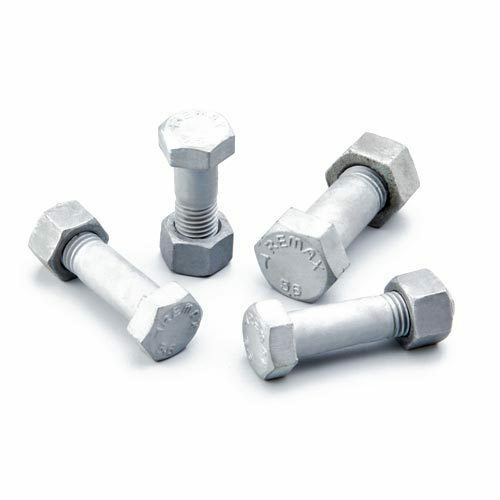 One can avail from us a wide array of hot Dip Galvanised Bolts and Nuts, as we are engaged in manufacturing and exporting these products at bulk. Our products are made up of premium grade raw material sourced from a trustable vendor in the market. These products give an optimum level of performance and are highly durable as well. We are offered at reasonable rates as per the demand of our clients. Incepted in the year 1986, Remax(India) is a well acknowledged name in the manufacturing and exporting of industrial fasteners that inlcudes cold forged hex head olts, full threaded screws, button head bolts, step bolts, anti theft bolts, carriage bolts, hub bolts, hexagonal nuts, plain washers, spring washers, pack washers, spring washers and so on. In our endeavor to excel in industrial fasteners domain and create our name across the world, we are led by our owner Mr. Parminder Singh. His industry expertise and business ethics are facilitating us in staying ahead of our competitors. In our effort to offer premium range of industrial fasteners and maintain cordial relations with our customers, we are also backed by state of the art infrastructure. These are managed by talented and expert professionals to ensure international end quality in the offered product range. To assist customers, we also offer them the facility of free sampling and customization as per their industry specific requirements.